So I'm no art expert, but I do enjoy viewing all the great classics. One artist in particular that I feel drawn to is Caravaggio, and probably my favourite of his is 'Judith Beheading Holofernes'. But I do wonder what is considered his signature work? For so many other great Masters their Magnum Opus is clear. Da Vinci has Mona Lisa, Michaelangelo has The Creation of Adam, Raphael has The School of Athens. Van Gogh has Starry Night, Rembrandt has The Night Watch etc. But for some reason, there doesn't seem to be a clear winner in Caravaggio's catalogue. So I put it to the art experts on here, what is Caravaggio's Magnum Opus?? Oh damn, I'm still trying to figure out how to post images. 4. 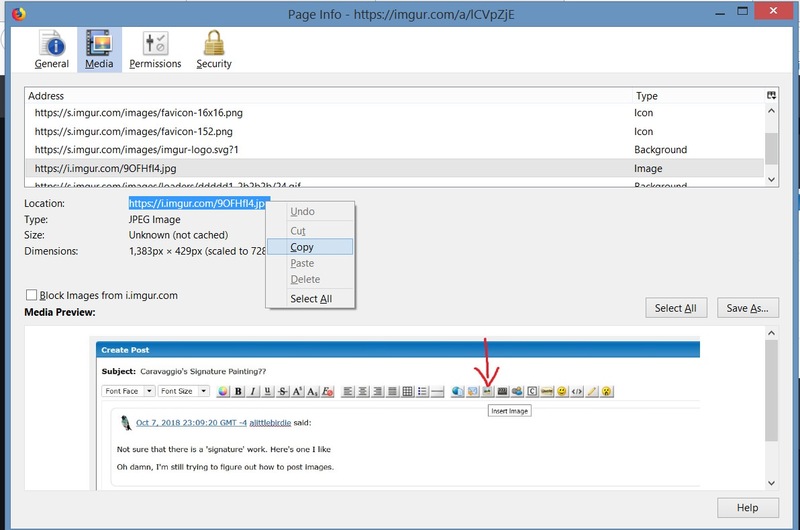 Paste the "location" adress into the Insert image window and press ok. 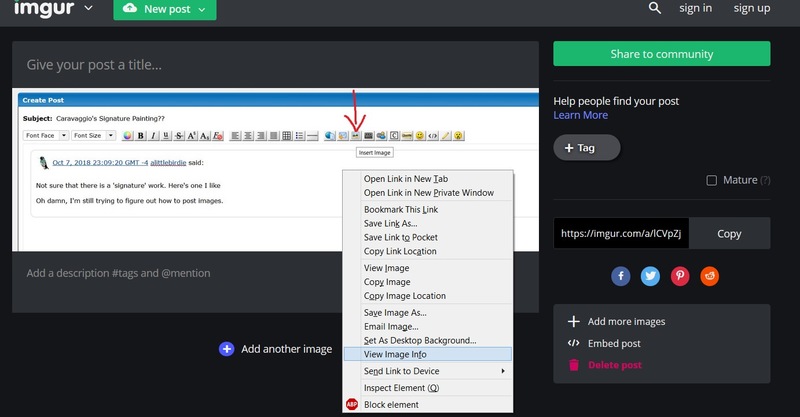 If you want to take a picture from the web, just right click, view image info and copy the location, then paste it in the Insert image window. lol, I'm still not doing it right, but thanks mecano04. Good thing I didn't get into anything tech. Which painting were you trying to post?? 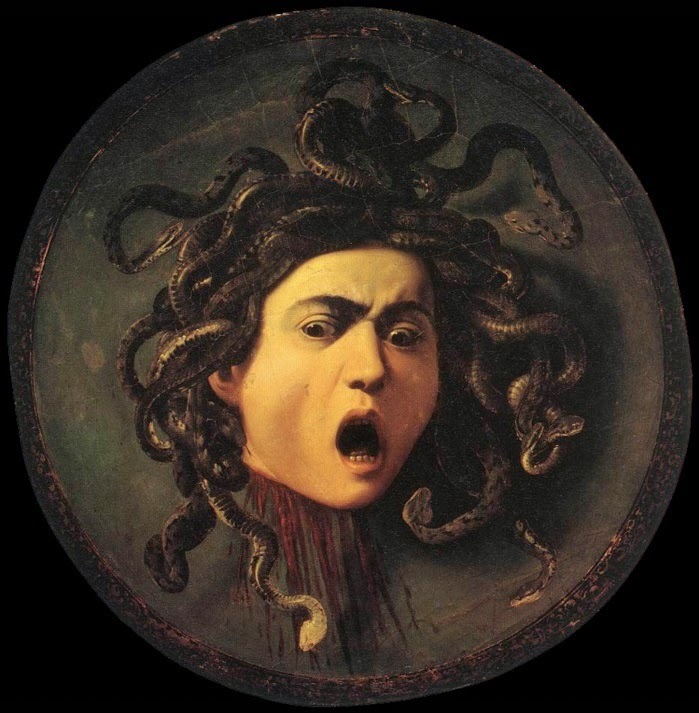 Thanks Seto, I was trying "Bacchus'', and then "Head of Medusa"
I'll figure it out one day. I like this board so I should! I read one account that said "The Beheading of St. John the Baptist" is his most important work. but now reading further I've discovered that he was actually quite prolific despite criminal activity and having died young. Anyway, thanks for getting me to look into his work again, I enjoyed it. So yeah, I'm starting to think there is no real answer. Anyway here are the two you wanted to post. Thanks for posting those Seto. Of course his life story is the stuff of movies, have you ever seen a film about him? I saw the film Caravaggio (1986) with Tilda Swinton, I think it was her first movie. It has contemporary elements to it which I didn't like, but worth a watch. I'd like to see something a little more true to the time period. Haven't seen that film, and only recently been reading up about him. Seems like he was an intense guy to say the least.